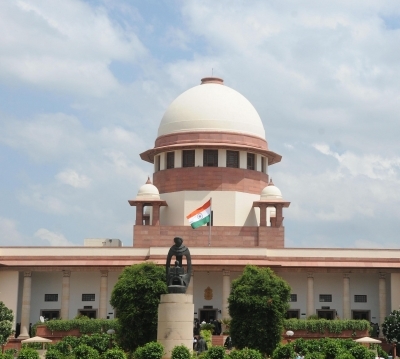 New Delhi July 12 (IANS) The Supreme Court on Thursday expressed displeasure on the failure of Delhi Lt Governor whom it termed "Superman" for not taking effective steps to tackle garbage problem in the city after his office admitted that garbage management comes within its jurisdiction. A bench of Justice Madan B. Lokur and Justice Deepak Gupta slammed Lt. Governor Anil Baijal for not taking appropriate action on the issue of solid waste management in Delhi and took into note that he did not attend crucial meetings on the issue and had not passed any directions too. On Tuesday the bench had asked who is responsible for clearing the "mountain loads of garbage" - those answerable to the Delhi Lt Governor or the Chief Minister and in response both the Delhi government and the Lt Governor on Thursday told the court that the Lt Governot has the power to issue directions to authorities concerned under the provisions of Delhi Municipal Corporation Act on disposal of solid waste. The bench said the meetings held by the Delhi Health Minister would not be not accepted by the Lt Governor because he would say it was chaired by someone without authority. "Who is the Health Minister according to LG?" asked the court. "Nobody from LG s office bothered to attend meetings and he says I have the power. I am Superman... It s passing buck he says I am responsible I will not do anything but you will be blamed " the bench said. "Your (LG) affidavit says it s (solid waste management) your responsibility. So don t bring Chief Minister into the picture " it added. The court which was upset as there was no concrete plan for solid waste management in the city and said "mountains of garbage" (three landfill sites) - Ghazipur Okhla and Bhardwaj - indicate that Delhi is facing a grave situation and directed the Lt Governor s office to file an affidavit by July 16 on the time frame about the steps to be taken to deal with the situation. The top court hearing a matter related to implementation of the Solid Waste Management Rules had earlier directed the Central government to file a chart indicating whether the states and union territories have constituted state-level advisory boards in accordance with the provisions of Solid Waste Management Rules 2016.